Vienna, 1892. 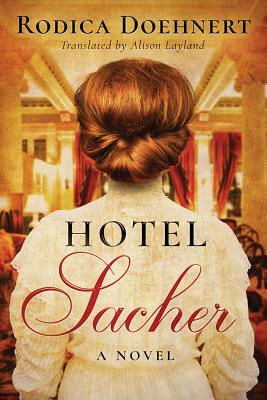 Anna Sacher has taken possession of her late husband's hotel, just down the street from the Austrian royal residence, at the height of Belle poque splendor. She does so against all odds. At a time when controlling such a business was an opportunity afforded only to men, Anna is as vigilant as she is relentless. Now, under her ownership, the Hotel Sacher thrives amid the tumult of a changing continent. Through its opulent halls stride visitors from all walks of life, including some of the most glamorous figures of Viennese society--opera singers, princes, princesses, and the maids and manservants who wait on them.